Gelatin squares, also known as gelatin jigglers, are an easy snack to make for kids. They are relatively quick to make and the recipe is simple. For that reason, many people enjoy preparing gelatin squares. Grab your cookie cutters — you can cut the gelatin into squares, or use your cookie cutters to punch out shapes. Stir boiling water into gelatin for at least 3 minutes, or until completely dissolved. Pour the mixture into a 13-by-9-inch pan. Refrigerate the pan for three hours or until it is completely set. Dip the bottom of the pan in warm water for about 15 seconds. 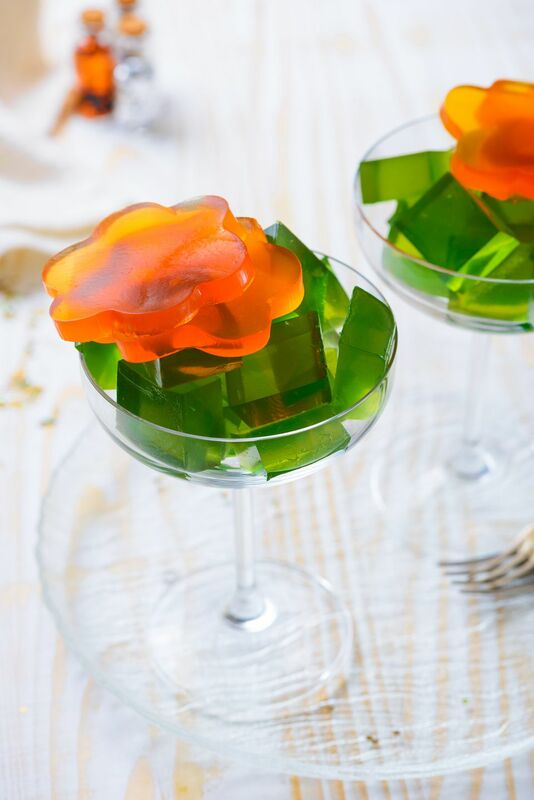 Next, cut the gelatin into decorative shapes with cookie cutters all the way through the gelatin or cut into one-inch squares. Lift the gelatin shapes from the pan. For less quantity and thicker squares, use an 8-inch or 9-inch square pan. Gelatin can be helpful in improving the lining of the digestive tract and is useful to prevent intestinal damage. Consuming gelatin can help improve your appearance and prevent damage from the sun's ultraviolet rays. Gelatin is full of calcium, magnesium, and phosphorus--must-haves for building strong nails, teeth, and hair. Some medical leaders say gelatin may be able to rejuvenate the kidney, adrenals, and bladder to help us deal with stress and the stress hormone, cortisol. It can boost collagen in the skin and ease the appearance of stretch marks. Gelatin can improve your ability to generate enough gastric acid, which is required for proper digestion and nutrient absorption. It can be useful to help those with arthritis and joint pain. Glycine, an amino acid in gelatin, is an “inhibitory neurotransmitter,” which means it produces similar effects of anti-anxiety or antidepressant medications. Want to know what's in your gelatin squares? Gelatin is a clear, colorless food that is made from collagen, which is obtained from animal raw materials. Other than using it as a food, it can be used in pharmaceuticals, cosmetics, lighting, and photographs. It is commonly found in gummy candies, as well as ice creams, dips, yogurts, and marshmallows. Animal glues contain unrefined gelatin. Gelatin is used as a binder in match heads and sandpaper. Substances that contain gelatin, or appear so are often referred to as gelatinous. There are both instant types of gelatin (like Jell-O) and others have to be soaked in water before being prepared.